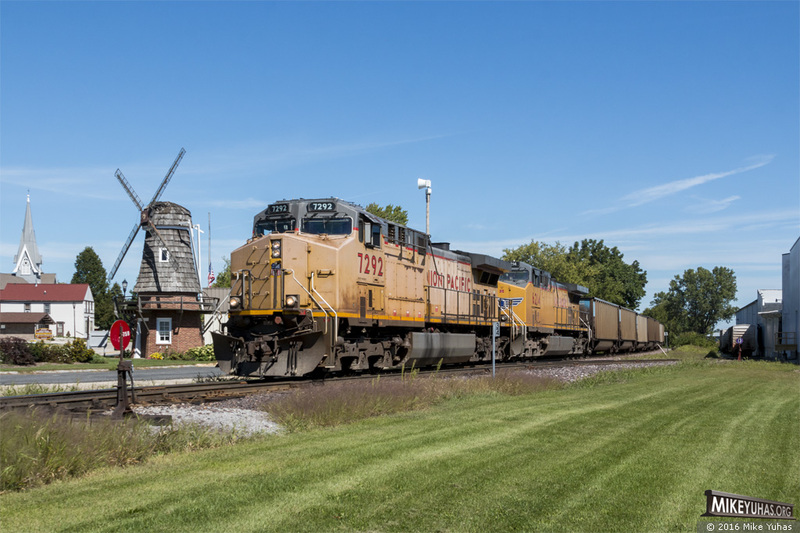 An empty Sheboygan coal train passes the historical marker and replica windmill commemorating early Dutch settlers at Cedar Grove, southbound on the Shoreline Sub at milepost 135.75. At right is Cedar Grove Warehousing, the "cheese man," the transload company's original location (an offshoot has opened a few miles up the road in Oostburg). Between the two facilities, up to a dozen reefers of cheese can be spotted per night.